A wonky digital button setup spoils what is otherwise a decent Android flagship. It’s rare to come across a flagship smartphone with a single fatal flaw. That, however, is where we are with the HTC U12+. The new all-digital button setup, which replaces traditional micro-switches with pressure-sensitive wizardry, just doesn’t work well. Until it’s fixed, little else about this phone matters. Bottom line: HTC’s new high-end offering is speedy, with impressive glass-backed designs and very capable cameras, but it’s undone by a busted digital button setup. 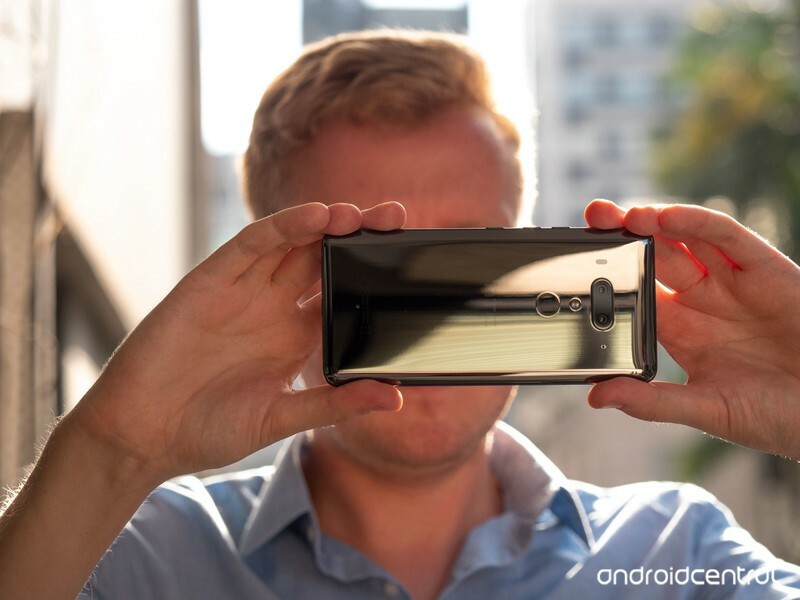 The HTC U12+ is a fast, beautiful smartphone with relatively clean software, capable of taking fantastic photos using an impressive twin-camera setup. When something as basic as a button doesn’t work reliably, any other critique is redundant. But such high praise is immaterial when you can’t reliably press the power button. Or when the level of pressure to trigger each button isn’t consistent or predictable, or seems to change depending on battery charge level or ambient temperature, or when buttons randomly trigger by themselves, or when the phone spontaneously reboots itself because of ghost presses of several seconds on the power key. It’s not like this happens every single time you pick up the device. Often, the U12+ can go for hours at a time without any pressure-sensitive hiccups. But problems occur often enough that any other critique around the usual things like battery life, display quality and photo performance is academic. Nevertheless, we do owe you a full review of the HTC U12+, so read on to learn about a pretty great phone that you shouldn’t buy until they fix the buttons. We’re publishing this review after two weeks with the HTC U12+. I (Alex Dobie) have been using a European U12+ in the UK on EE, and in Taipei, Taiwan on Chunghwa Telecom. Shortly after picking up my first U12+ unit, I noticed multiple issues with the phone’s new, all-digital volume and power keys, as well as the pressure-sensitive Edge Sense feature. 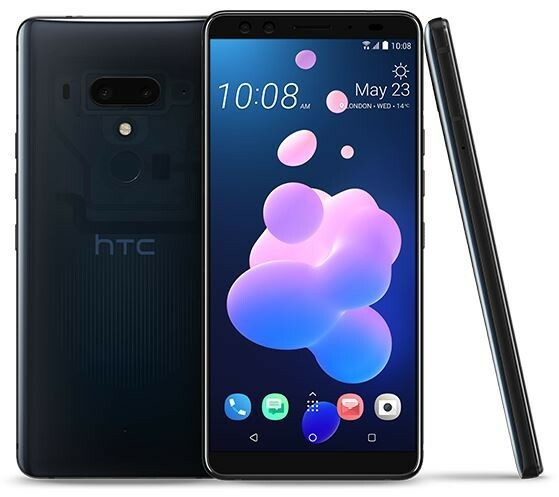 HTC replaced the phone with a different unit, which performed better than the first, but exhibited the same problems after around 24 hours. My review device was running software version 1.15.401.4, based on Android 8.0 Oreo, with the March 1, 2018 Android security patch. 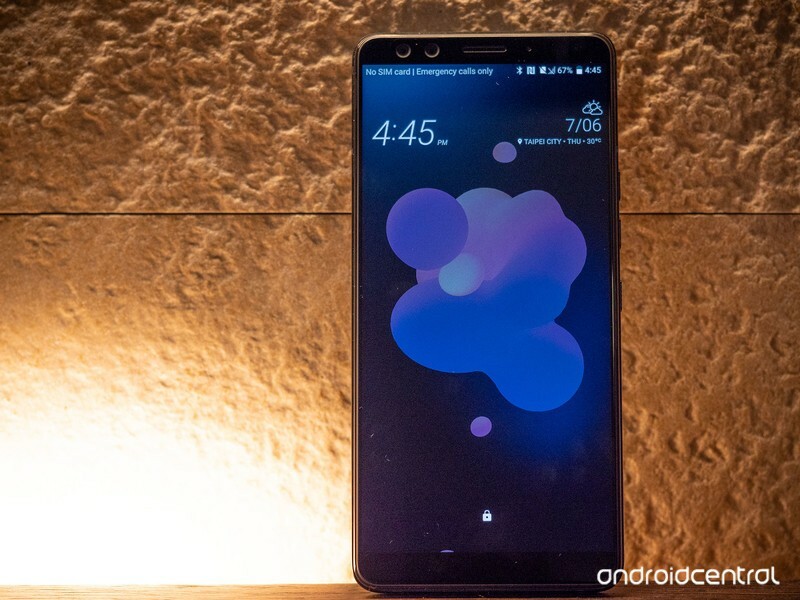 HTC tells us this is final retail-ready software, but that a firmware update will be arriving in future to refine button sensitivity and fine-tune Edge Sense based on the feedback received so far, along with other bug fixes and improvements. Hayato Huseman, who produced our video review, has been using a U.S. unlocked variant of the U12+ running software version 1.15.617.4. He has experienced many of the same issues around the phone’s digital buttons. If you’re familiar with the U11+, the under-appreciated extra-large cousin of the U11 that launched in late 2017, then the design of the U12+ will be very familiar. For everyone else, this is a pretty standard 18:9 Android slab from the front, with a few pleasing design cues to set it apart. There’s no display notch, for what that’s worth. Instead, the U12+ sports a slightly asymmetrical forehead and chin. And the surface of the display is raised up from the metal frame by a near right-angle curve of the glass itself. At first, I mistook this for a plastic rim, but nope: it’s curved, angled glass going straight into metal, which is an impressive manufacturing feat. Like HTC’s past two flagships, the rear of the U12+ is far more visually appealing. I’ve been using the standard reflective gunmetal color, which is almost identical to the same hue in last year’s U11+. There’s also a translucent blue option, which gives you a peek at the innards of the phone, as well as a fiery iridescent red, which shifts between blood red and a golden yellow. The U12+ is a little on the chunky side, but HTC’s lustrous glass designs shine through. 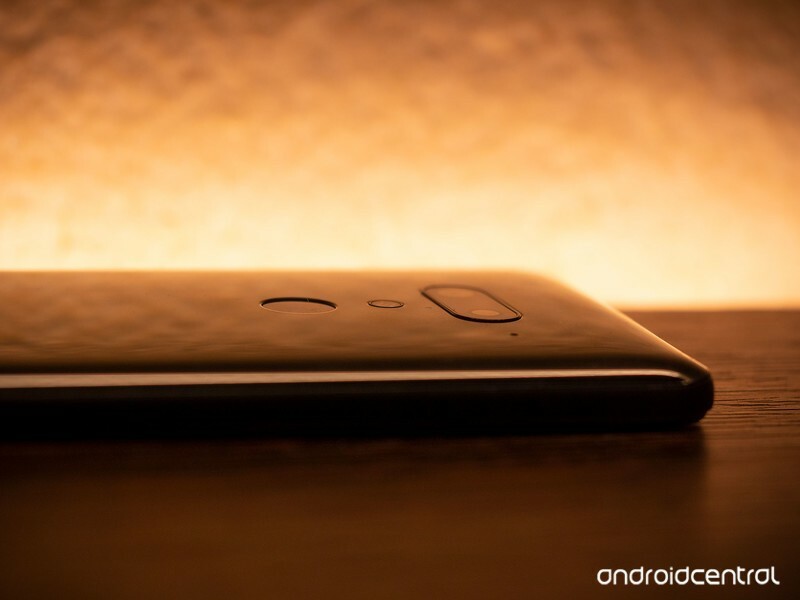 The back panel has an oleophobic coating, which makes it less fingerprint-prone than the Galaxy S9 and LG G7, but a bit more slippery. The overall feel is more chunky than similar-sized phones like the OnePlus 6, or even Samsung’s S9+, but the basic ergonomics of this design are sound. It’s comfortable to hold, and thanks to the addition of a decent one-handed mode in HTC’s Sense software, it’s easier to wrangle than the U11+ without bringing in a second hand. HTC, once again, sticks with LCD technology for the display, going against the grain of the smartphone industry. And though the U12+’s 6-inch panel doesn’t boast the same brightness as leading OLED panels from Samsung, it’s still an attractive panel with no visible ghosting, and pleasing, punchy colors. HTC’s spec sheet matches the cutting edge in all but a couple of areas. Battery life, too, has been less than amazing for me, even with a relatively large 3,500mAh cell powering the U12+. On a typical day with heavy use, I’d get around 14 hours between charges, with a little over three hours of screen-on time. On travel days in areas with poor reception, I could deplete the phone’s power pack alarmingly fast. The saving grace is support for Quick Charge 4, though there bundled plug only supports the older Quick Charge 3.0 standard. At least HTC’s audio credentials remain strong, outside of that sadly absent headphone jack. The U12+ boasts a meaty BoomSound Hi-Fi system, combining the single bottom-facing speaker with an earpiece tweeter, for satisfyingly loud and bassy audio reproduction. HTC’s USonic active noise-cancelling earbuds, bundled with the phone, are great too. They haven’t changed since they first appeared alongside the U11, but they’re about the best bundled earbuds I’ve used with a phone. HTC’s Sense software can instantly and automatically tune its audio output to the structure of your ear canals, with results as impressive as we’ve witnessed from older HTC phones. The big new gimmick in the U12+ is its pressure-sensitive, all-digital buttons. 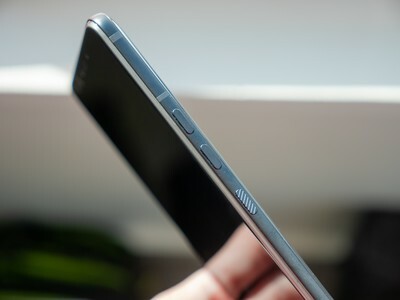 Where normally a volume rocker and power switch would reside, HTC now includes button-like metal ridges. They feel like buttons, and (sometimes) work like buttons, but they don’t actually depress into the chassis. The clicky haptic feedback is not unlike the tap of a modern iPhone’s home key (or the trackpad of a MacBook) only it’s a little mushier, and the vibration is centered on the middle of the phone, not behind the buttons. That’s not the biggest issue with this technology, though. Oh no. The greater problem is that in the units we’ve been using, whether as a result of hardware issues or early software kinks, it appears to be basically broken. For brevity, here’s a quick summary of all the glitches we’ve experienced with the buttons — and, since it’s similarly busted, the Edge Sense function. These issues have persisted across three different devices, and the overwhelming majority of others reviewers we’ve spoken to have had similar gripes. Inconsistent sensitivity across the three keys. The power key is generally more sensitive than the volume keys, which sometimes require an unreasonably strong press to register. Normal clicky buttons don’t do this, and it’s bad. Inconsistent sensitivity in the same key — i.e. at different times, the sensitivity of individual buttons will vary wildly. It’s unclear why this happens: perhaps due to changing battery charge levels or external temperature. Either way, also bad. Ghost presses on the pressure-sensitive keys, particularly power. Sometimes they’ll trigger when you’re merely resting a finger on them. Sometimes they’ll trigger all by themselves. Both Hayato and myself have witnessed our phones hard rebooting themselves due to long ghost presses on the power key. The double-tap gesture on the side bezel to activate one-handed mode suffers from similar ghost input problems. Edge Sense squeezes failing to register when the screen is off. Edge Sense registering a squeeze when the phone is just being held, even lightly. Edge Sense registering light squeezes (showing the animation on-screen) for no particular reason. Multiple taps on the power or volume keys failing to register in quick succession. You get the picture. It’s worse in every way than a regular micro switch, which works fine on every other phone. I’m also baffled by how much of a mess Edge Sense seems to be on this device, considering it worked pretty well on the U11 and U11+. In short, right now the pressure-sensitive buttons (and Edge Sense) are a net negative. HTC tells us that a firmware update will be arriving in future to refine button sensitivity and fine-tune Edge Sense based on the feedback received so far. We’ll revise this review if there’s any major improvement to what we’re seeing here. 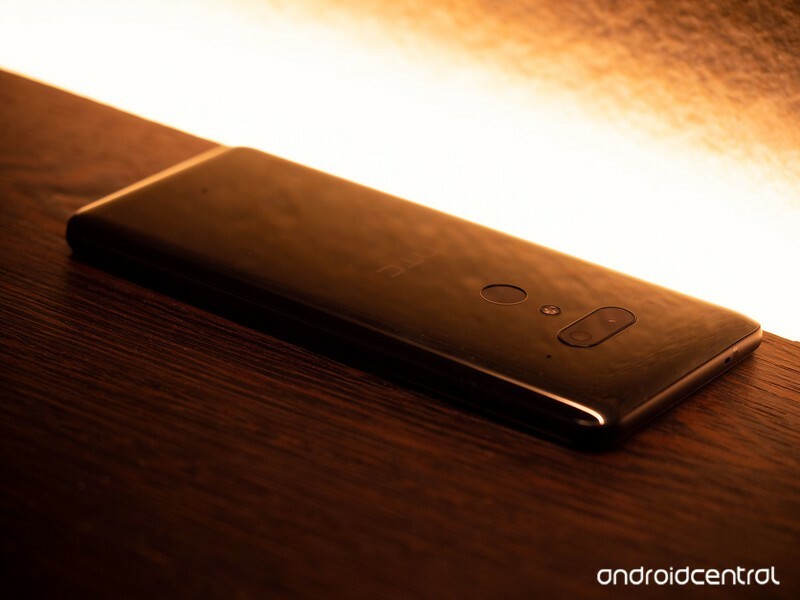 If you’ve already used an HTC U11 or U11+ on Android Oreo, or read our review of the U11+ from last November, then you’ll have already seen almost everything The U12+ has to offer on the software side. We’re still running Android 8.0 here, not the newer version 8.1. (The main impact for many of us: no Netflix support for picture-in-picture mode.) Otherwise, The user-facing side of Android 8.1 is largely identical to 8.0. Sense remains locked in the same holding pattern it’s been stuck in for much of the past couple years. Otherwise, it’s another year with virtually no changes in either the way HTC Sense looks or functions. On one level, that’s fine. Sense is so close to stock Android now that there’s not much need for surface-level changes. On the other hand, Sense is still littered with the dregs of older software versions. As we’ve noted in earlier reviews, many core apps like Weather, Contacts, Messages and the Dialer haven’t changed in more than three years. In Sense Home, more subtle clues of HTC’s lack of design effort can be seen: The rows of home screen icons are aligned for a 16:9 display, not the U12+’s 18:9 panel. Beyond those few upgrades, this is a fast, relatively clean Android UI that’s in dire need of a facelift. As I said six months ago, HTC needs to either go all-in on a near-stock Android experience like OnePlus’s OxygenOS, or truly differentiate its software with a new completely new look that doesn’t look like it belongs in 2014. For all its troubles, HTC continues to excel at smartphone photography. The U12+’s saving grace is its camera setup, an area where HTC is truly competitive with the best phone cameras of the moment. This dual-camera array around the back can absolutely go toe-to-toe with the Galaxy S9+ and Huawei P20 Pro, and in some cases come out on top. HTC combines a 12-megapixel main sensor with f/1.75 lens and optical stabilization with an f/2.6, 16-megapixel telephoto camera. The telephoto has smaller pixels on the sensor and no OIS — an on-paper disadvantage compared to Samsung’s zoom camera. But HTC’s secret sauce is its HDR Boost function. First seen on the U11, the second-generation of HTC’s post-processing feature allows it to bring out awesome fine detail and high dynamic range, even in challenging situations. As I’ve said before, HDR Boost is a competitive recreation of the post-processing setup Google uses in HDR+ on its Pixel phones, though I’ve noticed that in darker conditions HTC’s will favor grainier output in order to produce a brighter-looking shot. Whether that’s good or bad is a matter of personal preference. Some may prefer the softer but less noisy output of Samsung’s Galaxy S9+. 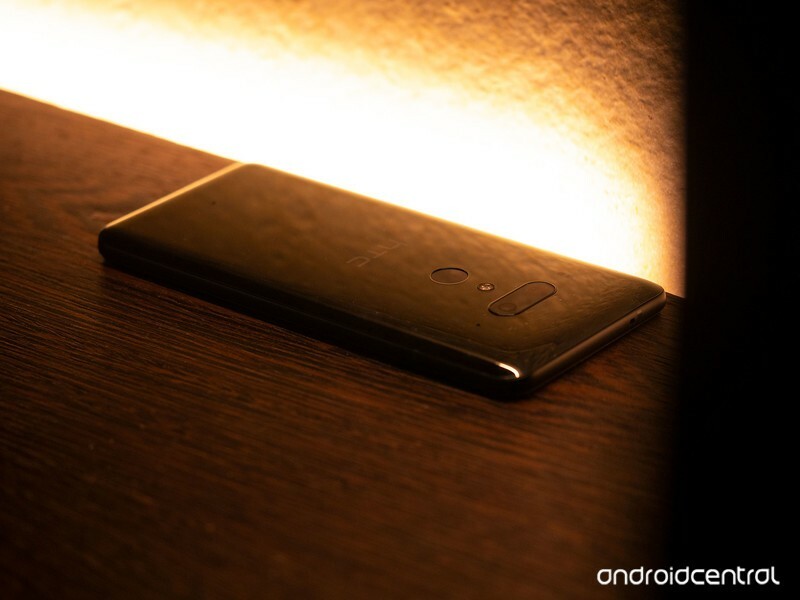 It’s also worth noting an additional caveat: Despite its dizzying DxOMark score of 103, the U12+ can’t match the insane low-light detail provided by the Huawei P20 Pro’s industry-leading low-light mode. HTC takes another crack at software bokeh, and the results range from competent to truly impressive. HDR Boost also allows the U12+ telephoto camera to eke out better-looking telephoto shots than it has any right to given the optics of its secondary camera. In many darker situations, the HTC camera would stick with a shot from the secondary camera, as opposed to a digital crop of the main sensor. HTC has also built out its own software bokeh mode, which doubles as portrait mode on the U12+, adding artificial lens blur to shots. On the whole, it’s technically proficient, and I’ve captured some impressive shots of people, food and pets using HTC’s bokeh mode. The end results are on par with what I’ve seen from the Google Pixel 2 and Huawei P20 series, and it’s also possible to edit the level of blur after the fact in Google Photos — though this option is somewhat hidden. 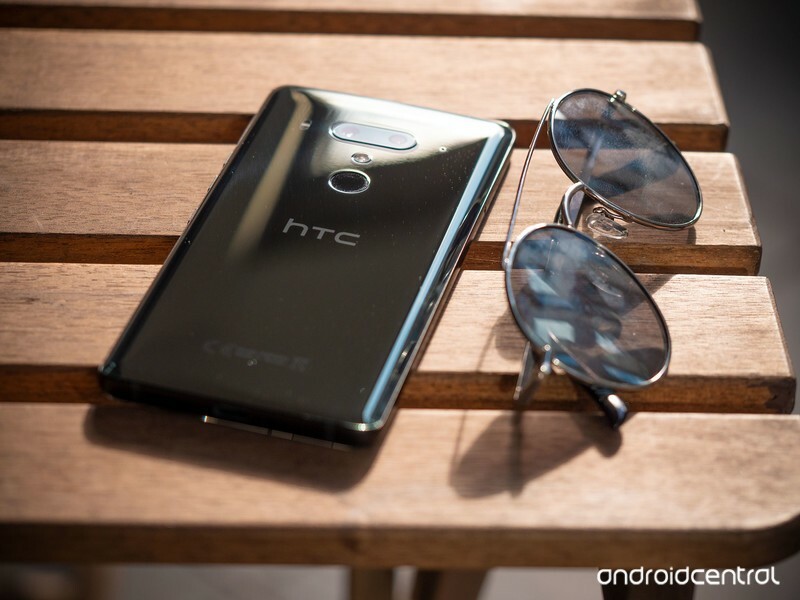 Meanwhile, around the front, HTC packs a twin 8-megapixel camera setup, allowing accurate bokeh shots through the front camera without the software guesswork of some rivals. As with the main camera, selfies from the U12+ are grainier than competitors like the Galaxy S9, particularly in darker conditions, but they often retain more color detail pics from the Samsung device. There’s a full array of beauty modes too, if that’s your thing. For what it’s worth, HTC also has Animoji-style stickers in its camera app, the existence of which I’ll note here for the record. They’re there. I guess they’ll be fun if that’s your thing. Like Samsung’s AR Emoji, I’ve mostly ignored them in my time with the phone. My only real complaint around the U12+’s camera has to do with its speed. The app is frequently slower to load than most rivals, and processing times for HDR Boost are a little on the long side. The trade-offs, with patience, are worth it, but on a couple of occasions, I’ve missed shots due to the camera taking too long to fire up. HTC’s new flagship also has a competent video camera, building on features like 3D Audio and Acoustic Focus — amplifying volume from specific areas as you zoom — that debuted in the U11. 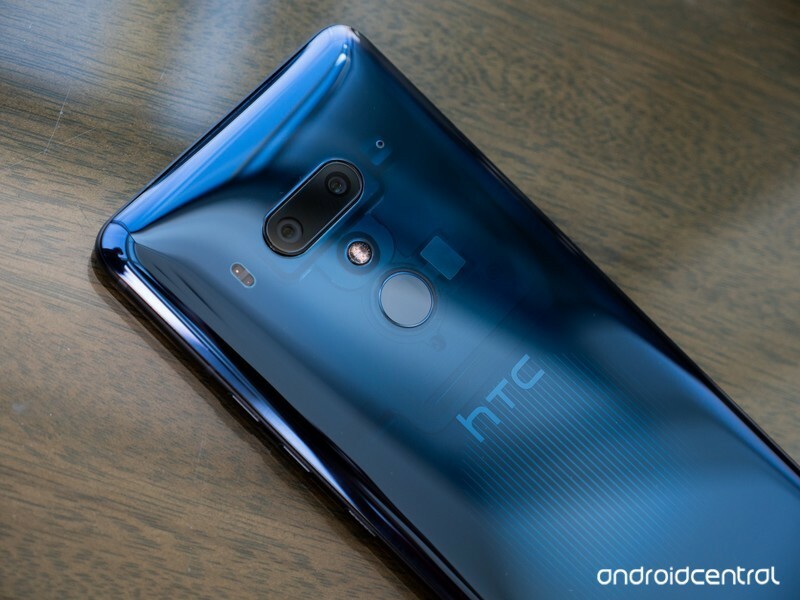 Advances in optics and processing bring predictable improvements in video quality for HTC, however, it’s a little disappointing to see electronic stabilization limited to 1080p resolution. Some rivals, including the cheaper OnePlus 6, can manage stabilized video at 4K resolution. Were it not for the busted digital buttons, the HTC U12+ would be a commendable Android flagship mostly worthy of its high price tag. Standout features include fast software, some stunning glass back panel designs, and a truly impressive camera setup. But the slapdashedness of the Edge Sense and the digital button setup underscores how far HTC has fallen since the glory days. I wonder whether the HTC of 2013 would have shipped such a core feature in such an unfinished state. HTC didn’t have to devote its resources to this new button system, but it did. And the result, right now at least, is this product’s Achilles heel. Problems of this kind with such a fundamental part of the hardware are unacceptable at any price point, let alone $799. As noted earlier, firmware updates are coming, and as someone who’s enjoyed many HTC phones over the years, I sincerely hope the company can fix whatever’s wrong. Until then, we simply can’t recommend this phone.